Next time you head to a national park, take a close look at the town you pass through on the way in. Many of America’s parks are anchored by a nearby hub, usually in between a big town and small city in size and too often overlooked by the RVs and VW buses passing through on their way to the park gates. Missoula is one such place, and it deserves your attention. This enclave in western Montana has managed to move beyond its past as a resource-economy town and embrace its location in a new manner — as one of the most epic places for a nature-loving traveler to dive in for a few days. Missoula isn’t just a town to pass through on your way to Glacier National Park. 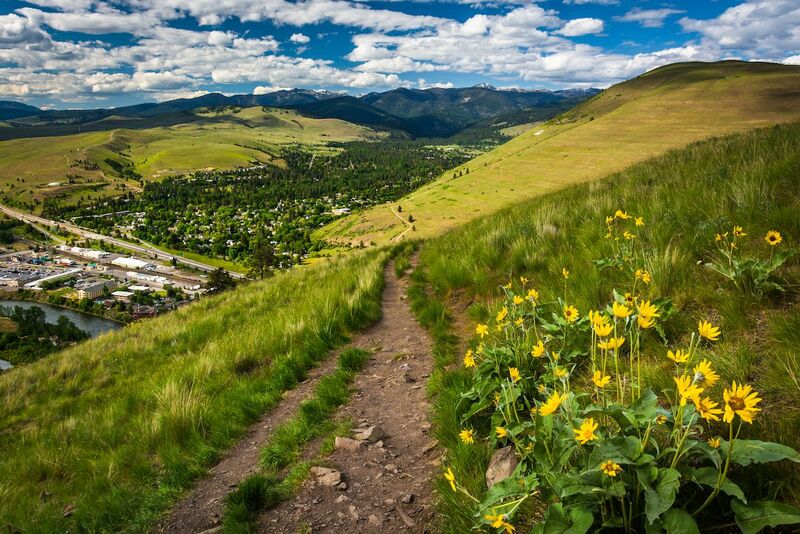 Much like tourist-favorite Boulder is to Rocky Mountain National Park in Colorado, Missoula is an outdoor hub with a character all its own, and you should stop in for a few days to experience it. Missoula’s economy looks towards tourism. Similar to the Boulders and Ashevilles of the country, Missoula is a mid-sized city where two main points ring true: The people here love their town, and they also love getting into the world just outside of it. 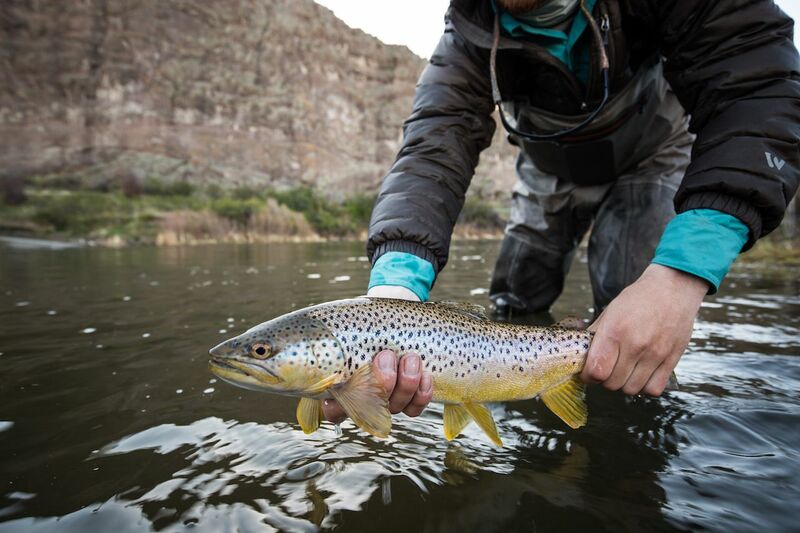 The city is lined with hills, and you’re more likely to find a long-time resident spending a Monday afternoon on the river than at the office. Missoula was, for most of its modern history, a lumber town with an economy driven by the mills and mines near the townsite. Since the 1990s, the city’s economy has shifted drastically, with education and healthcare becoming the top employment sectors, and the city seeing an increased focus on tourism. According to local newspaper the Missoula Current, Missoula County brought in $295 million in tourism dollars during 2018 and saw 850,000 passengers fly through Missoula International Airport, representing significant growth in both spaces. Much of the tourism effort is directed at getting people outdoors, both in and around the city. 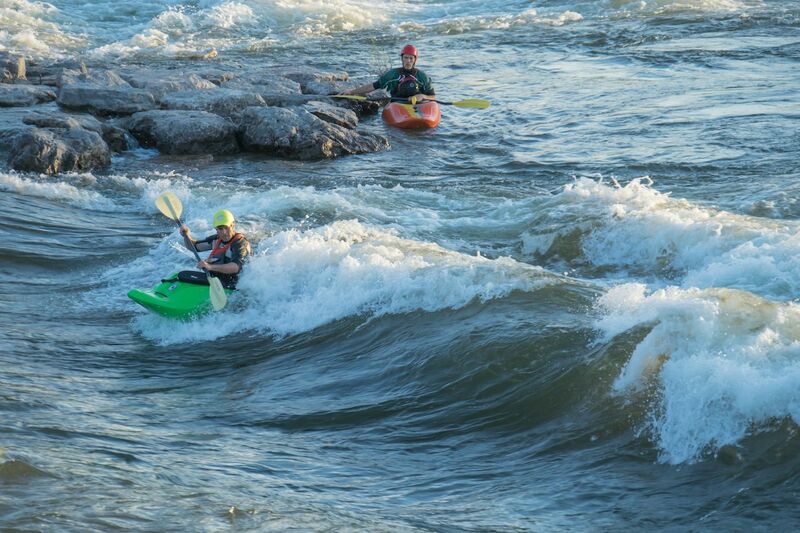 In 2006, the city debuted the man-made “Brennan’s Wave” on the Clark Fork River as it passes through downtown, attracting kayakers — and even surfers — to the heart of the city. This July, the three-day Rec Con event debuts to bring even more attention to the outdoor access. And of course, there is always Glacier National Park, two hours to the north. The outdoor access is as good as it is in Boulder. Like Boulder, Missoula is a university town on the edge of expansive open space. Its downtown core and surrounding neighborhoods are lined with craft breweries and farm-to-table eateries lacking in smugness. You can also eat vegetarian if that’s your jam. But the real draw to Missoula is definitely the outdoor access. Just outside of downtown Missoula, the Kim Williams Nature Trail leads into a system of trails heading up towards University Mountain and beyond. 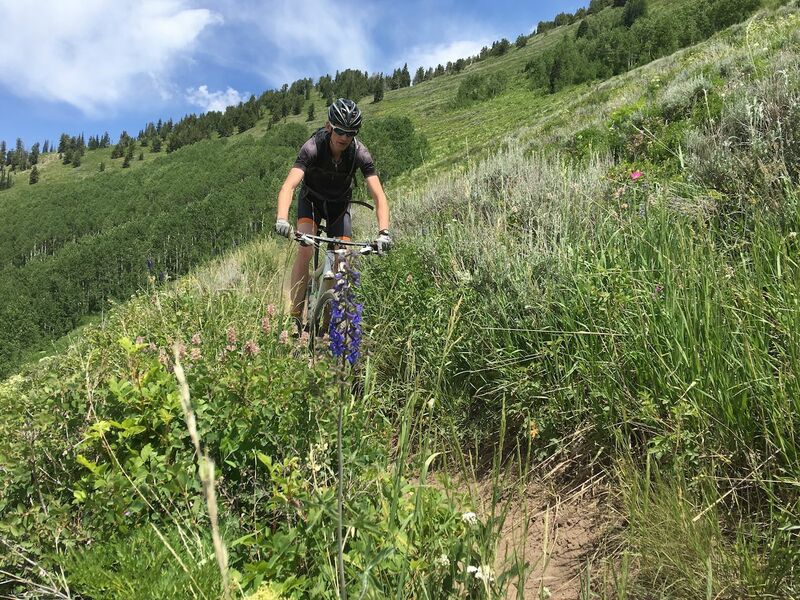 It’s an ideal spot for hikes and mountain biking throughout much of the year and, when snow falls, a solid snowshoe excursion. Also come winter, you can hit up Snowbowl, Missoula’s local ski hill. The mountain, about 30 minutes north of the city, is full of family-friendly terrain and shuns the mega-resort feel of larger destination ski areas. Within an hour of city limits are enough hiking trails to keep you busy for the next decade, starting with the Rattlesnake Wilderness and Lolo Peak. And no matter when you come, you won’t have to wake up at 5:00 AM to find a parking spot at the trailhead, a perk rapidly disappearing from Colorado’s front range. It’s a wonderland for road and mountain bikers. While you can certainly park your car at the trailheads near Missoula, there’s no stress should you not have one. In a town comprised of just 29 square miles, over 40 miles of bike lanes line Missoula’s roads and neighborhoods. Getting around via pedal power is, for many, the preferred method of transportation in the city, and you’d be remiss to leave either your road bike or mountain bike at home on a trip here. If you’re flying in, you could rent a bike from one of several cycling shops, like Missoula Bicycle Works. In an effort to combat locals feeling overwhelmed by an increasing number of transplants and visitors (who may not know the rules of the road when it comes to cycling), Mountain Biking Missoula provide trail maps, gear information, events, and volunteer opportunities, and even an invitation to their Thursday night group rides to newcomers and visitors. They seem to have embraced the idea that it’s better to educate and inform than to shun and turn your shoulder. Missoula still embraces its Big Sky Country roots. The number one criticism people lobby at outdoorsy towns like Boulder nowadays is that it’s been taken over by insufferable hipsters who care more about the town’s aesthetic than the outdoor opportunities it provides. While a tree-hugging, mustachioed microbrewer can certainly feel right at home here, Missoula is rough around the edges in a way that Boulder never was. There’s still a long way to go in terms of population diversity, but there’s no one flannel-shaped mold you need to fit into to be a Missoula local. Its big skies are home to rompers and rollers that tend to look at the world a little differently than big city folk and who couldn’t really care less how you live your life so long as you have respect for the natural surroundings. It’s because of this that no matter how many southern Californians or beleaguered New Yorkers decide that Missoula is the place to fix their existential crisis, the town won’t be leaving behind its values anytime soon. Missoula will still be its unassuming self, long after the coastal flock spots a bear in the Clark Fork River that runs through town — and runs screaming back to LA’s Chavez Ravine.